Sound lessons make this rhyming explanation of the concept of gravity a useful tool. 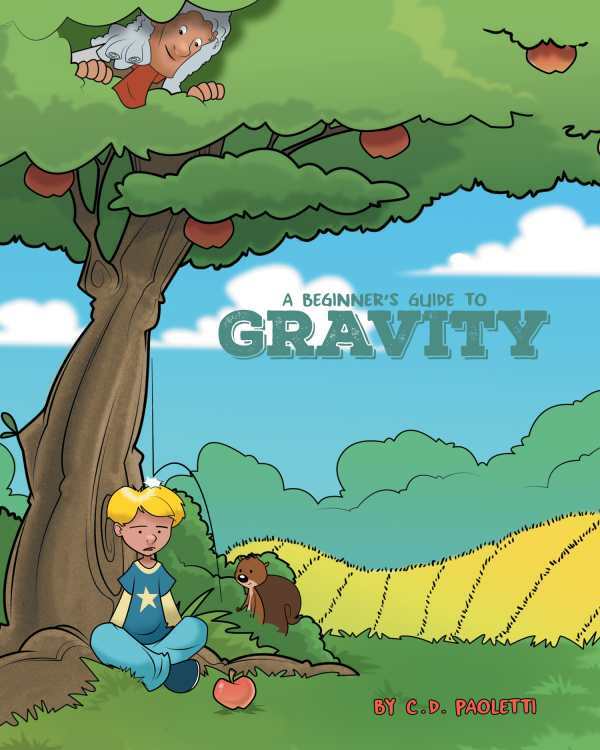 A Beginner’s Guide to Gravity by C. D. Paoletti presents easy-to-understand information about gravity. Starting with Newton and his famous apple, the author explains gravity in terms that children ages three to seven can understand. The book provides a remarkably simple explanation for an intangible and potentially difficult concept. Paoletti describes how Newton developed the law of gravity, what the force of attraction is, how gravity works between very large objects like the sun and the planets, and how gravity can be understood through everyday occurrences like that famous apple falling from a tree. The accompanying full-page color illustrations are very basic, without a great deal of detail or character. Though unremarkable, they do an excellent job supporting the text, demonstrating the force of gravity by depicting activities that children can relate to, like going down a slide, throwing a football, and jumping in a pile of leaves. The text is presented as a series of rhymes, an entertaining format that also limits access to clear explanations, particularly where rhymes feel forced—as with “Newton’s law states that / between any two objects with mass there exists / a force of attraction called gravity they both can’t resist.” Such awkward rhythms distract from the interesting lessons that the book is trying to teach. The intention of A Beginner’s Guide to Gravity is to educate young children about the concept of gravity, and its lessons are sound. Parents who are looking for help explaining gravity to curious children will find it useful. This is the first book in the author’s “Science Piction” series, and both parents and children interested in exploring the world around them will be eager for the next installment.